Man-made fish attractors have been added to the reservoir. Department staff worked with the Lake Fork Sportsmans' Association (Friends of Reservoirs Chapter) to build and install the attractors. Locations are shown on the map and chart below. 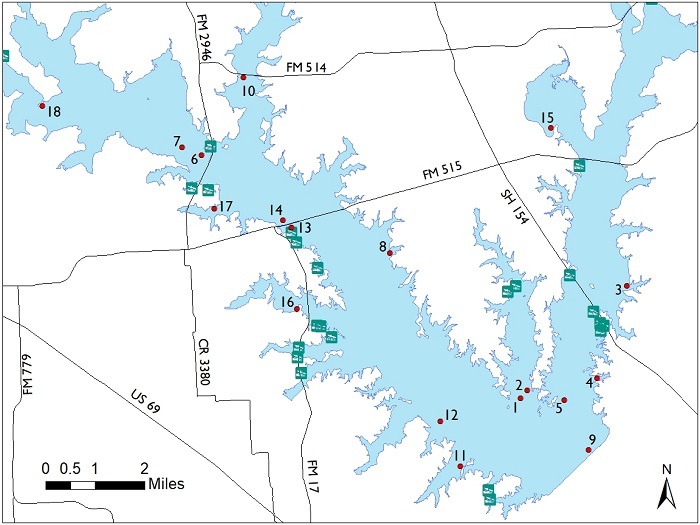 Anglers may use GPS in conjunction with a fish finder to locate the attractors. Coordinates are also available in downloadable files. Each marked location contains a cluster of PVC cubes and/or commercial structures.